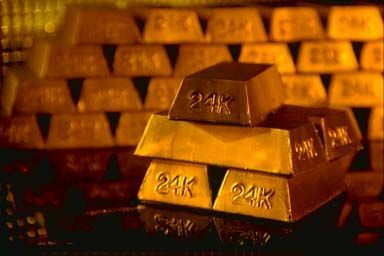 Throughout history gold has been recognized for its anti-aging and skin care benefits. One of the first mentions of gold can be traced to Ancient Egypt, where Queen Cleopatra was believed to sleep with a gold face mask every night to maintain her flawless complexion. Over these 5000 years, the use of gold has been mentioned in terms of skin care across civilizations. It is believed that gold helps the skin regain its elasticity and enhances the natural reaction of the human body towards skin regeneration and healing.Gold was also used in ancient Chinese medicine in the form of gold massage rollers. Chinese queens were believed to use these rollers to maintain their youthful looking skin and preserve their beauty. Ancient Indian cultures believed that gold helped in reducing wrinkles and firming the skin. Gold was also used by the warriors of the Roman empire to heal their battle wounds. Ancient civilizations also used to add traces of gold in their food to showcase their hospitality while entertaining guests.Today, gold has become quite popular in skin care treatments across the world. According to the World Gold Council, the use of gold in facial treatments is extremely popular in a number of Asian countries such as Japan. Those who advocate the use of gold believe that it helps to make the skin look younger and reduce fine lines and wrinkles. OROGOLD Cosmetics launched its skin care collection with the idea of modernizing these age old traditions and allowing you to take advantage of the wondrous healing benefits offered by gold. We use 24 karat gold that is imported from Italy and use it to produce a range of skin care products that cater to different skin issues.Despite entering the skin care market in the year 2008, OROGOLD Cosmetics has managed to capture the imaginations of thousands with its luxury skin care solutions that don’t just treat your skin issues, but also offer anti-aging benefits. Moreover, Orogold Cosmetics is not just about gold. We also use a number of carefully selected ingredients that are perfectly paired with each other to offer effective skin care solutions to our consumers. Each product offered by OROGOLD has been painstakingly designed to take care of specific skin care solutions without compromising on the overall focus of helping you to attain timeless beauty.